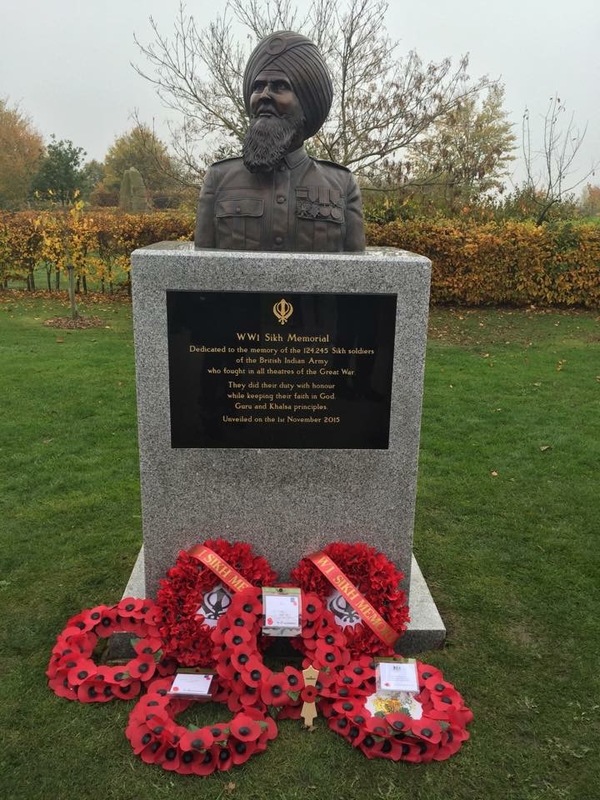 Unveiling of the Sikh Memorial to the sacrifices made by Sikh soldiers in the World Wars.This took place today at the National Arboretum, Staffordshire today. it was attended by serving and retired members of the Army. As well as Bhai Mohinder Singh, Peter Virdee, as well as the Royal British Legion Riders. Credit goes to Jay Singh-Sohal and team for undertaking the initiative.